If there is one thing newly founded denim brands have in common, it is the claim to represent a tradition. New York-based Stitch & Mechanics is no different in that sense. What does make them different is the fact that they can back up their claim with 3 decades of jean manufacturing in the heart of NYC. 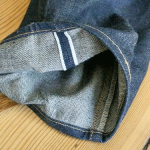 I took a closer look at a pair of their raw selvedge jeans. Read along and find out why they impress and why they are not the perfect all-purpose jeans. While Stitch & Mechanics was only founded in 2012, their story takes us back to 1983. That year, Ming Lam opened his first cut and sew factory in Chinatown. From this facility, and two others in NYC, the factory served as the stitch and mechanics (hence the name) for many well-known designers such as Donna Karan, Ralph Lauren and Calvin Klein. Ming’s son Kingman joined his father’s business in 2003 and spent the next nine years learning the trade, before finally establishing Stitch & Mechanics in 2012. 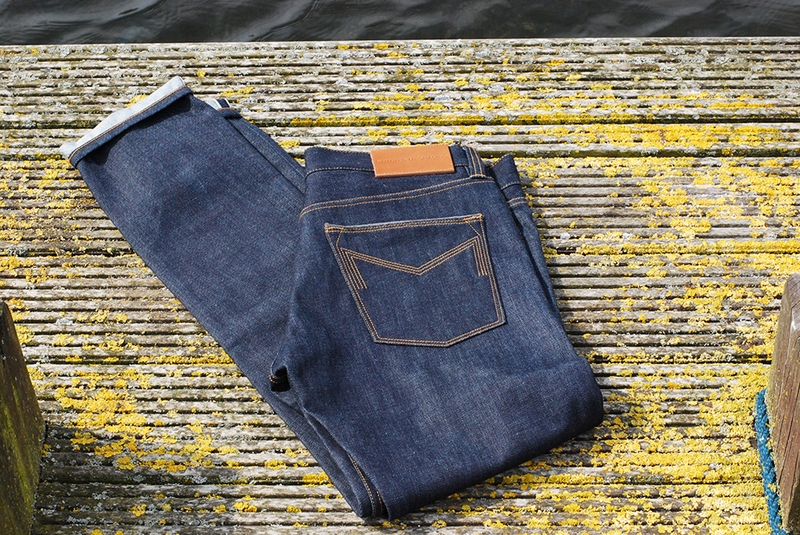 Stitch & Mechanics do produce some very neat and clean jeans, mindful of both tradition and contemporary style. The design, the materials used, and the artisanship put into them is obviously of very high quality – as you would expect from a pair of $300 jeans, I might add. They offer three fits: slim tapered, slim straight, and relaxed – all available in a variety of washes. 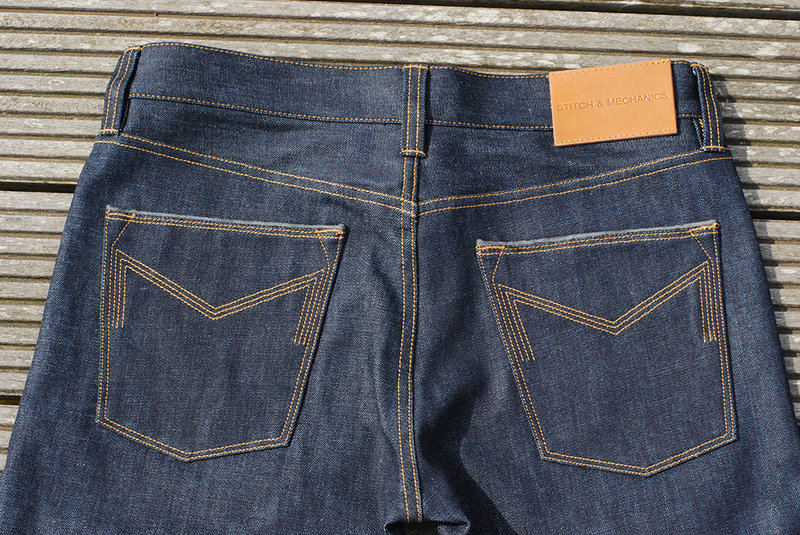 The jean pictured in this review is the slim tapered raw 13.75 oz. jean with golden brown stitching. They really seem to have nailed the slim tapered fit. It boasts a nice slim silhouette combined with enough roominess to move around freely. Something that is not a given in slim tapered jeans, where the thighs are often a bit to the tight side. 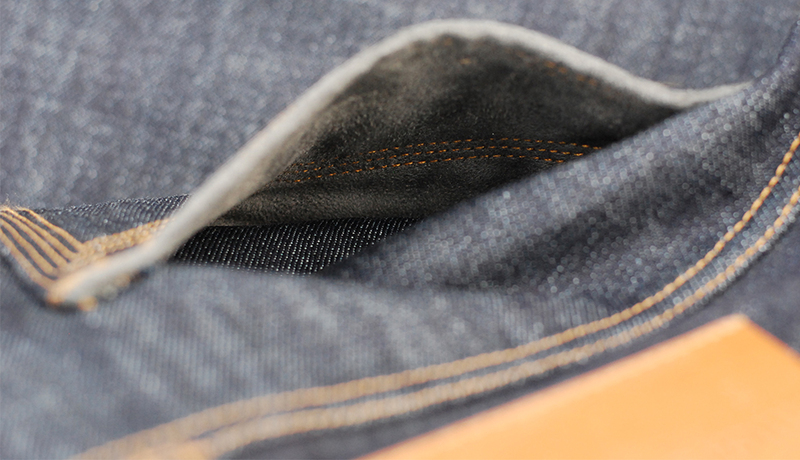 When is the last time you threw on a pair of jeans with the back-pockets lined with suede? According to Stitch & Mechanics, their use of a faux suede material, also used on the coin pocket and the fly, is meant to give off a premium hand feel. Serving no real purpose, it is a nice and smooth sensation, and I must admit to having walked around with my hands in my back pockets more than usual since wearing these jeans. Unfortunately for me as a frequent bike-rider, the back pocket lining gives off a slight screeching sound when I sit in the saddle. A shame considering the roomy fit, which would otherwise make them an ideal bike-commuter jean. The large logo on the back pockets is the most visible branding on these, otherwise quite uniform, jeans. The Stitch & Mechanics seamstresses rely on only hand-eye coordination to gauge the “M” logo with a single-needle topstitch machine. 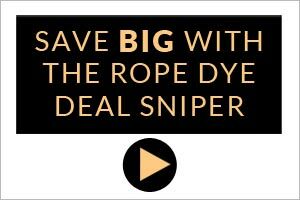 The loose ends of each stitch line are then triple-knot hand-finished underneath the lining creating a one-of-a-kind “M” logo on each pair. A nice and unique touch. In a market filled to the brim with start-ups, Stitch & Mechanics have the advantage of their many years of experience in the business. Something that is apparent in their jeans that are both well crafted, well fitting, and of good quality. If you are in the market for a pair of modern US-made jeans that dare to stand out a little, Stitch & Mechanics could be an option for you. At least if you don’t depend on your bike as your main means of transportation. Check out the full selection at their website, where you will also find some interesting combinations of denim and leather. Most of the raw jeans have a price tag just shy of $300 attached and they ship worldwide. A natural curiosity and the search for the finest make and fit led Kasper to writing about denim. He has now realized that the search is never ending. With a Master’s Degree in English and Media Studies, Kasper works as a Digital Solution Manager in his hometown of Copenhagen, Denmark. 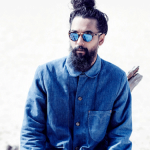 Kasper hopes to shed light on how denim is evolving down some of the roads less travelled, in various urban subcultures. His favourite brand and fit is his Lee 101S.